As the final phase of our project “ Community driven women enterpreneurship in Pamir rural areas” marketing and product development discussions were held with our local partners NGO Guly Gioh and handicraft cooperative Jamshed, in Dushanbe this week. We had meetings in Center of Union of Artisans in Tajikistan, Ruhom handicraft center and several souvenir shops, were women introduced their products and already received some orders. 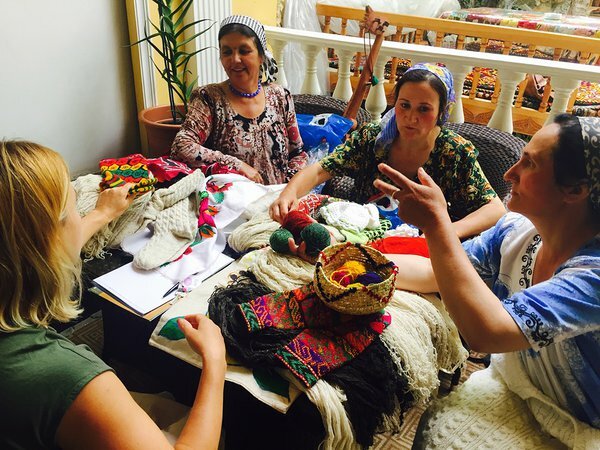 Overall aim of the project is preservation of Pamir handicraft and art traditions, encouraging Tajik women entrepreneurship and also improving gender equality. Importantly, wool processing, knitting machines and other handicraft tools were bought to handicraft cooperative.